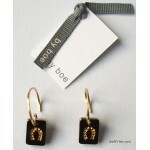 by boe began in 2000 as an intimate retail shop in manhattan, NYC. 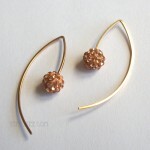 Annika Inez, the designer mixes her Scandinavian roots and diverse creative experience ( from dressmaker to interior design) and create provocative and new world in the contemporary Jewelry market. 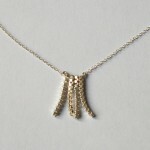 Her architectural and nature-inspired jewelry is widely accepted not only in the US but also in Japan and Europe. 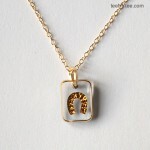 Her Jewelry is designed and handmade in their NYC studio using 14 kt gold-filled, sterling silver and a mix of new and vintage materials from around of the world. 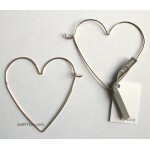 Wire Heart Hoop Big Love Earrings Sorry, SOLD OUT. 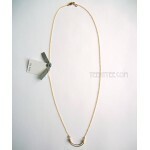 Brand: by boe Our price: $49 (Retai..
14k Gold filled Coiled Bar charm and chain Necklace Brand: by boe Our price: $42 (Retail $.. 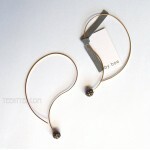 Crystal Nugget and Curved Wire Earrings Brand: by boe Our price: $36 (Retail $45) Style:.. 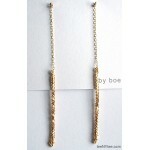 Crystal Nugget and Curved Wire Earrings Brand: by boe Our price: $32 (Retail $40) Style:..
Sterling SIlver Curved Bar charm and chain Necklace Brand: by boe Our price: $32 (Retail $..
Dagger and Curved Bar charm and Serling silver long chain Necklace / Handcrafted in New York. 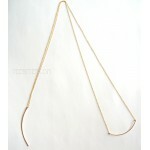 ..
Dagger and Curved Bar charm and Gold filled long chain Necklace / Handcrafted in New York. 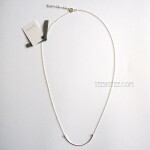 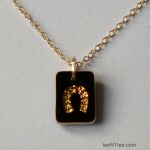 ..
Chain Necklace with 2 Paddle Pin Dangles Brand: by boe Our price: $49 (Retail $60) Style..
14k Gold filled double curved wire charm and chain Necklace Brand: by boe Our price: $40 (..
14K Gold fill chain necklace with Interlocking wire circles Brand: by boe Our price :&nb..
Intersecting Wire Teardrops Double Link Necklace Sorry, SOLD OUT. 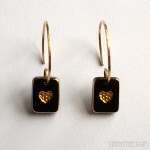 Coming back soon!! 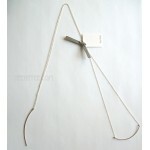 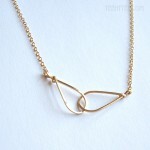 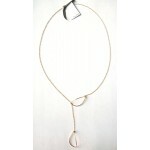 B..
Long Lariat with 2 Hanging Ovals Tiny Double Drop Leaf Necklace Sorry, out of stock. 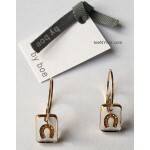 Coming..
Long Sparkling Wrapped Chain Drop Post Earrings Sorry, out of stock. 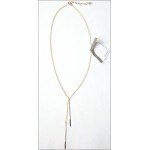 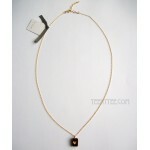 Brand: by boe Our..
Luxe 4 Strand Box Dangling Fringe Chain Necklace Brand: by boe Our price: $49 (Retail $60..